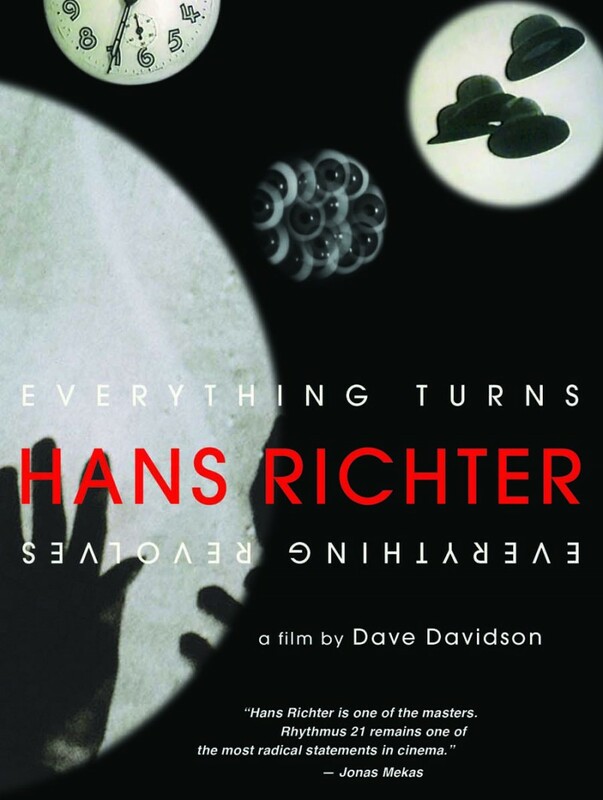 The National Gallery, Washington D.C.
“HANS RICHTER: Everything Turns – Everything Revolves” documents the tumultuous life of the Dadaist painter and pioneering filmmaker whose influence on modern art in Europe and America remains mysteriously obscured in the history books. Like many in his generation, Richter emerged from the horrors of the First World War as a radical artist dedicated to throwing off the structures of a stale and brutal ruling culture. Richter is at the epicenter of major art movements of the 20th Century, among them Dada, International Constructivism, and Surrealism, as he strives to create a new social art. After his seminal experimental abstract animation “Rhythmus 21″ changed the way that the world looked at films, Richter collaborated with and organized the most important figures in modern art around film projects, encounters for the exchange of ideas and radical publications. This list of collaborators is a role call of the luminaries of modern art – Marcel Duchamp, Man Ray, Fernand Leger, Darius Milhaud, Alexander Calder, Hans Arp, Jean Cocteau and Sergei Eisenstein. After the Nazis forced Richter to flee Europe as a “Degenerate Artist” in 1941, Richter expanded his influence to the United States where he augmented his independent filmmaking and painting by directing the first film school in America dedicated to documentary at the City College of New York. Here Richter opened the world of film as art to a generation of young Americans whose idea of motion pictures was grounded in Saturday matinee Westerns. Richter’s radical notions of film as art also set the mold for The New American Cinema Movement in the 1960’s where he was the exacting mentor to experimental filmmakers such as Jonas Mekas, Maya Deren and Stan Brakhage. Hans Richter: Everything Turns – Everything Revolves premiered in 2013 in conjunction with the first-ever major retrospective of Richter’s work at the Los Angeles County Museum of Art and then moved to the Centre Pompidou – Metz and the Gropius Bau in Berlin. The documentary has inspired a parallel media project, Rescoring Richter, which examines the creative process of contemporary composers and sound artists as they create new soundscapes for Richter’s seminal avant garde films of the 1920s. Included in the Center Pompidou-Metz retrospective Hans Richter. Journey Through The Century. Recipient of a New York State Council of the Arts Grant.